With cellist Matt Turner. Featuring nationally and internationally known artists working in improvised and other creative approaches to sound and instrumentation. Held in the studio above, far right door of the building and upstairs. Limited seating, early arrival recommended. $10/suggested donation, at the door. Featuring dance artist Margaret Paek and musician Loren Dempster as they explore the specific spaces of the venue through movement and sound. Held in the studio above, far right door of the building and upstairs. Limited seating, early arrival recommended. $10/suggested donation, at the door. Featuring the duo of improviser and composer Ken Vandermark and percussionist Phillip Sudderberg pushing the limits of jazz and improvised music. Held in the studio above, far right door of the building and upstairs. Limited seating, early arrival recommended. $10/suggested donation, at the door. 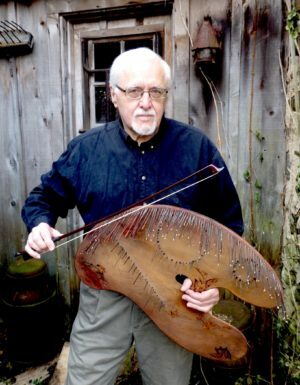 Featuring Hal Rammel, instrument inventor and improviser. Held in the studio above, far right door of the building and upstairs. Limited seating, early arrival recommended. $10/suggested donation, at the door. Brush up on your observational drawing skills. Easels and drawing horses provided. Students under 18 need a permission form signed by a parent. Payment due before store closes. For more information, call 920.743.9900. $20/drop-in. $8/drop-in, students. 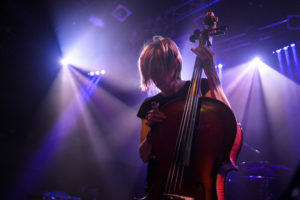 Featuring Helen Money, a cellist who has become known for her adventurous sound, bold compositions and compelling stage performance. Held in the studio above, far right door of the building and upstairs. Limited seating, early arrival recommended. $10/suggested donation, at the door. 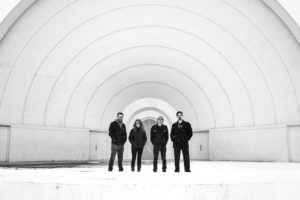 Featuring Chris Rosenau, a guitar player and founding member of seminal instrumental post-rock band Pele, the American music ensemble Collections of Colonies of Bees, and Volcano Choir with Bon Iver’s Justin Vernon. Held in the studio above. Limited seating, early arrival recommended. $10/suggested donation, at the door. Featuring Tontine Ensemble, whose mission is to perform improvisational and contemporary chamber works, as well as champion new music from composers in their community. Held in the studio above. Limited seating, early arrival recommended. $10/suggested donation, at the door.